Trying to lead a healthy lifestyle in a culture that bombards us daily with obstacles and landmines can be tough. We know we should be exercising more, reducing processed foods, cooking more often and reducing our stress but actually implementing these behaviors is tougher than it sounds. In essence, knowing DOES NOT = doing. I do not subscribe to motivation tactics that try to shame us into behavioral change or is too outcome-based whereby everything you do is defined as a success or failure. Can’t we have some 50 shades of gray? No, instead I like to take a non-judgmental, heart-centered approach to behavioral change where the journey is just as important, if not more important than the outcome and where your goals are equally aligned with your commitment. To that end, I am always looking for hacks, systems and efficiencies to help both me and my clients to have more tools at hand to make leading a healthy lifestyle easier and more accessible. Even more important to that is this idea of building skills for lifelong change as opposed to some quick fix which feels good on the outset but ultimately leaves us feeling unmoored, unmotivated and completely frustrated in the long term. The hacks I’m listing below are apps and tools I use in my own life or that I have suggested to clients who have used them with success. Remember, there is nothing wrong with taking some short-cuts and looking for low-hanging fruit when it comes to making behavioral change. If you have never heard of IFTTT (if this then that) then you’re in for a very cool treat. IFTTT is a free platform that lets you use their programmed “applets” that automatically syncs up with your devices and platforms like google, facebook, fit bit and more to fire an action when the conditions you program are set. For instance, I have an applet that automatically tweets to my twitter profile whenever I pin something to one of my boards in Pinterest. I have another applet that automatically syncs and posts any photos I take from my iphone to my google drive. Pretty awesome right? So you’re probably wondering what this possibly has to do with a health hack? One of the really cool features of IFTTT is that they have a whole section of “health applets” that you can utilize to create automations for you around your health. For instance, you can set up an applet to sync with your fitbit to automatically track your sleep into a google spreadsheet. Or you can set up a connection with the platform Plavlok and set it up to buzz and beep your phone every time you get too close to your favorite fast food restaurant that you’ve been trying to cut down on patronizing. There are dozens more of these automations and you can view all of them and set them up easily by going here. The workout trainer app is an an iphone app that allows you to utilize their database of 1700 different types of exercises and workouts for you to do on the spot, any time, any where. It’s perfect for us busy folks who need creative and clever ways to move our bodies without spending thousands of dollars early on when the new behavior of exercising feels so fragile. There are built in communities associated with the app to support you and there are video and photo tutorials to ensure you’re doing each exercise correctly. It’s the ultimate fitness buddy you’ve been looking for with accountability built in. There have been multiple studies showing how journaling can positively affect your emotional health and well-being. In addition to being cathartic and a way to organize and make sense of your thoughts and emotions, journaling and diary writing has also shown to help individuals become more mindful, achieve goals, boost your IQ and EQ and even strengthen your communication skills. I used to keep a daily journal for years but stopped once I got sidelined with the craziness of having children and working full time. I really wanted to keep writing but found it hard to have any consistency in hand-written form. I started using the app Day 1 as a remedy to that problem and haven’t looked back. This cloud based app gives you all the benefits of journaling but can be done from your phone, laptop or desktop. It has options to include photos, emoji’s and other fun features like a time stamp, location finder and even has built in reminders to write in it each day. You can keep your entries private or share some or all with others in the platform and with friends and family. It’s one hack that I have always patted myself on the back for finding and using and I hope you enjoy it too! Mealime is a brilliant app for iphone that lets you create customized shopping lists and meal plans using their huge database of ingredients and recipes. 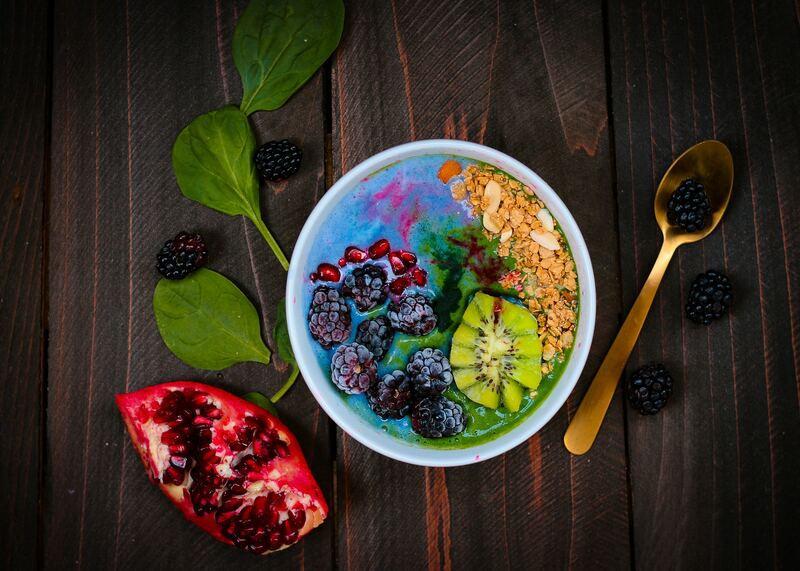 You can customize your meal plan suggestions by virtually any type of diet you subscribe to be is paleo, gluten free, flexitarian, vegan and everything in-between. Each recipe that shows up for you gives you all the ingredients, equipment and specific instructions to make it a fail-safe meal. Mealime will even suggest recipes ideas for you based on whatever ingredients you have left-over in the kitchen before a big grocery store run. To see my article on 15 other game-changing meal-planning hacks, click here. 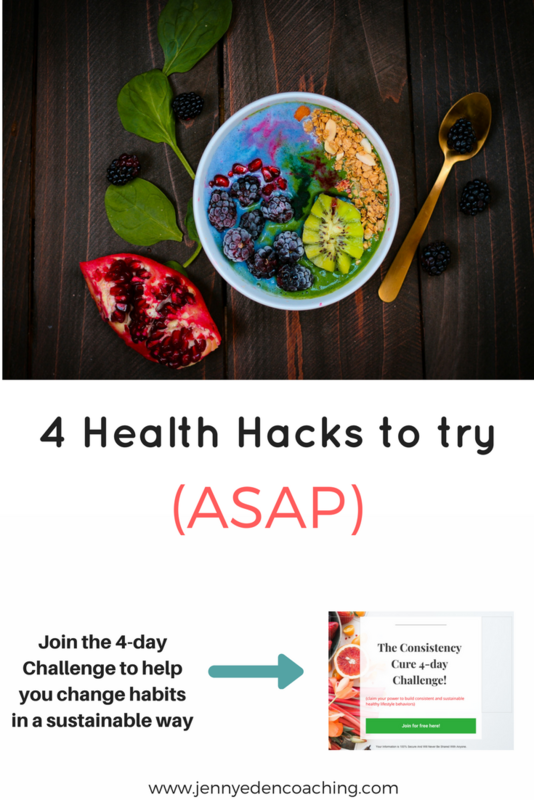 If you’re looking for more fun and powerful ways to make shifts in your health habits, join my free Consistency Cure challenge designed to help you bring skill and consistency effectively and with compassion to become more confident in your goals and behavioral changes. Sign up for free HERE! Hmm I’ll have to look into these apps you recommend. With a new milestone birthday and a new year, I want to make a commitment to taking better care of myself. Health tracking automation with IFTTT , I am new to IFTTT so I would have never thought of that , great idea! I also found journaling my food to be effective in the past but have gotten off track , great reminder.